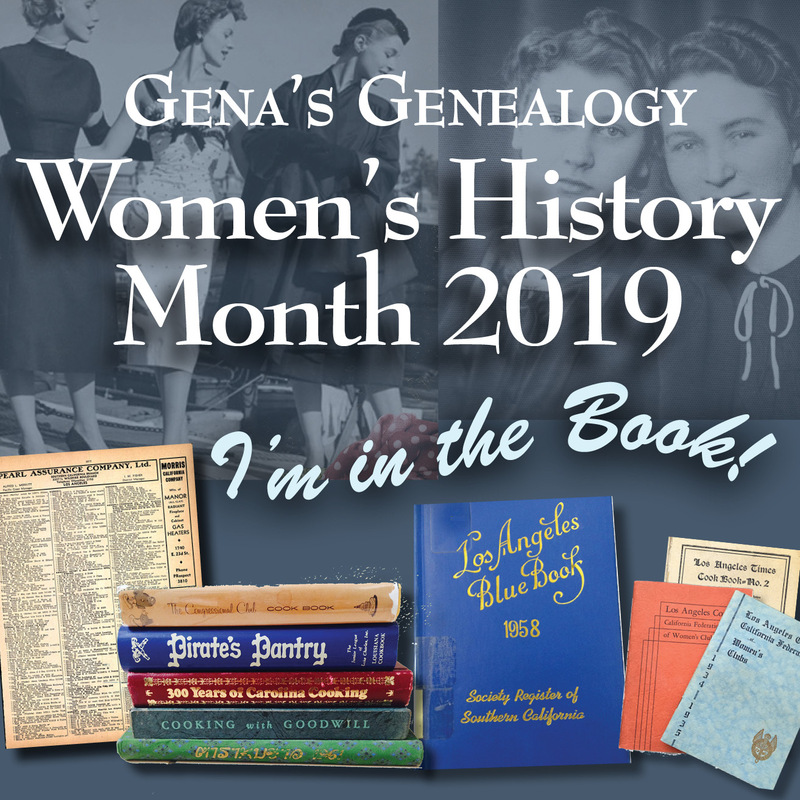 Gena's Genealogy: Women's History Month 2016: Tip #17 When Did She Vote? Women's History Month 2016: Tip #17 When Did She Vote? 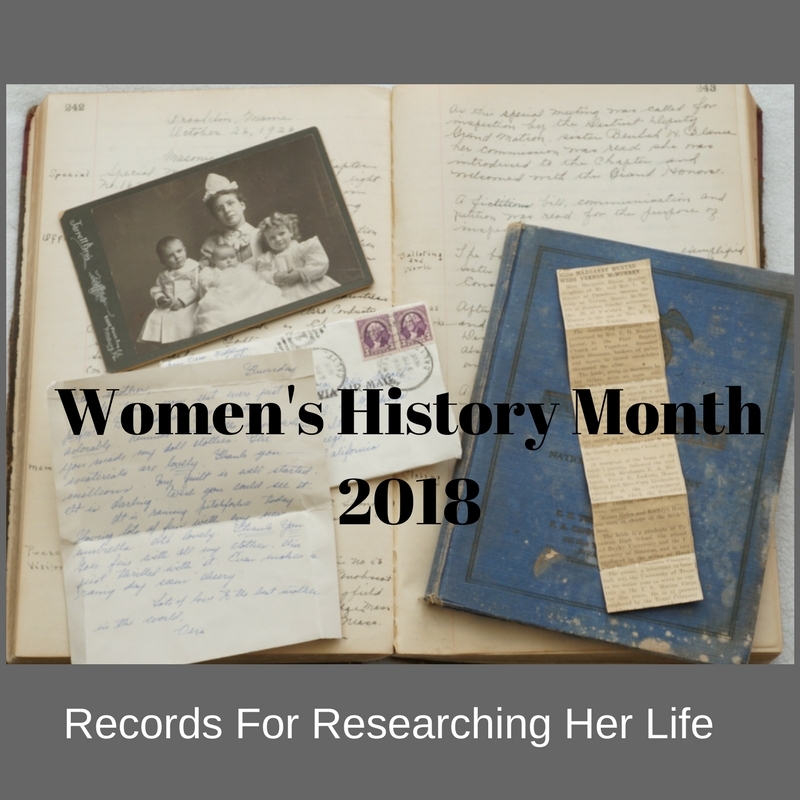 Are you using voting records to research your female ancestor? We often assume that these records will be of little use since women did not receive the right to vote until 1920. But for many states, that assumption is incorrect. Western territories such as Colorado, Utah, and California followed Wyoming's example in the years from 1869 to 1911. Women gained limited suffrage rights from other states and municipalities, such as Kentucky, which gave widows with children the right to vote in school elections as early as 1838. During the women's suffrage movement, New Jersey became a rallying point for the early suffragists in their demonstrations and court cases. Interestingly, New Jersey had given women who met the enumerated requirements the right to vote in its 1776 constitution. Yes, women in New Jersey who met the requirements could vote as early as 1776, but in 1844 that right was taken away. 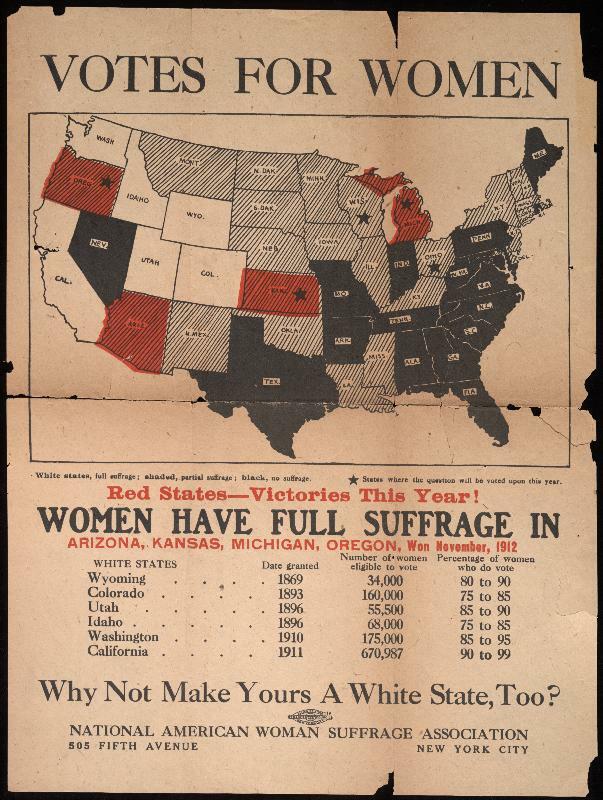 After you determine when your state granted female suffrage, start looking at voting records. Find these by doing a search on the FamilySearch Catalog, Ancestry.com or a state archive or library.